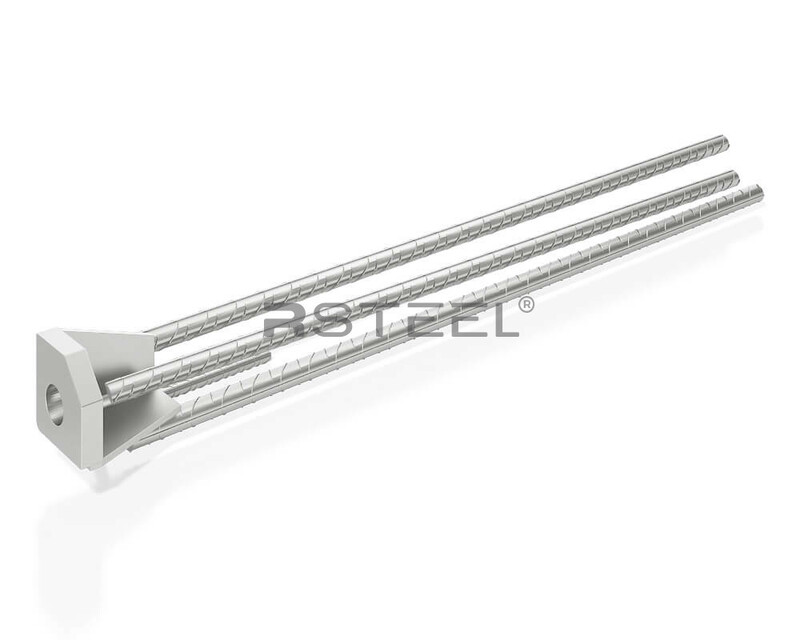 RPK-E2 column shoes are used to create moment resisting connections for precast columns, similar to RPK-N2 but are used when higher tension capacity is required. It is possible to adjust the vertical position and level of the column using the column shoes. The gap that remains between the base of the column and the top of the adjoined structure is grouted up as soon as possible after the connection is set. The base connection, once grouted, is designed to be stronger than the cross-section of the column. RPK-N2 Column Shoes are designed to correspond with the resistance of RPP Bolts, and, correspondingly, RPK-E2 Column Shoes correspond with the resistance of RPP-E base Bolts.